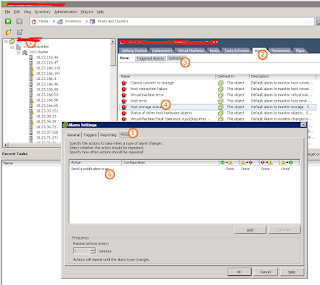 Configure port 162 as the SNMP port. That is all that is needed for the configuration. 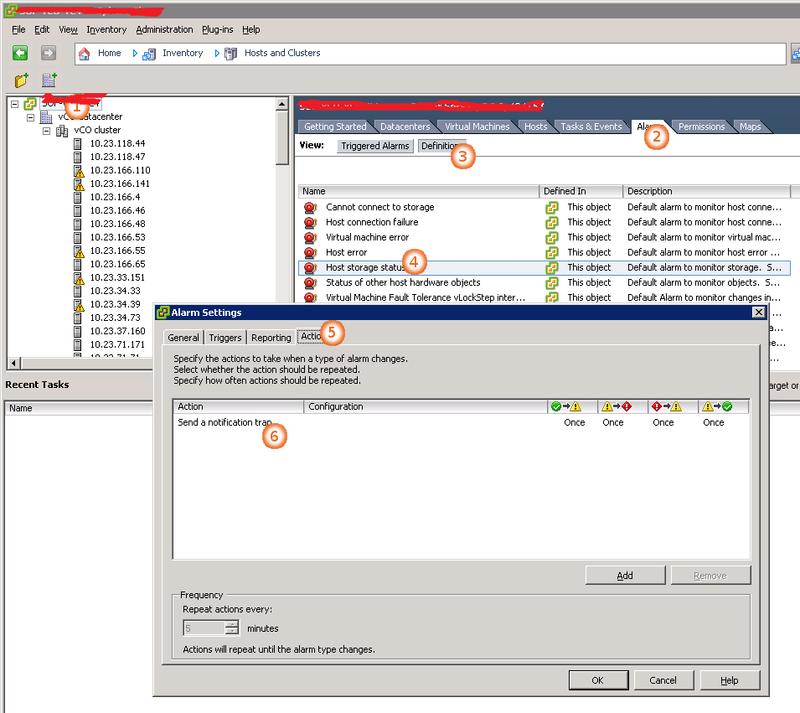 Now you need to configure alarm for generating SNMP traps in the vCenter server. When ever there is a change in the environment ( host state change, VM state change ,etc) the trigger will be generated and send an alert to the monitoring server. After you have setup the external SNMP server, vCenter Server can now ready to send SNMP traps to it. There are alarms in vCenter Server that are configured to send traps by default. So your SNMP server should receive alarms as soon as you have the SNMP setup. Add an alarm to monitor the changes related to VM state and vCenter Server status, and then adding the appropriate action (ie, send a notification trap). In the Home page of the VMware vSphere Client, select Hosts and Clusters and right-click on the VMware vCenter Server, data-center or an individual virtual machine to set the alarm. You can set the alarm at an individual virtual machine level, at the data center level, or at the entire VMware vCenter Server level. It is recommended to set it at the VMware vCenter Server level. Alarm Name :Provide the name of the alarm. Description :Provide additional information about the alarm. Alarm Type :Select Virtual Machines in the Monitor drop-down list. Select Monitor for specific events occurring on this object, for example, VM powered On option. Ensure that Enable this alarm check box is selected. In the Triggers tab, add the required triggers to monitor the states of the virtual machine. For example, VM created, VM migrated, VM powered on, VM powered off, VM suspended, and so on. Provide information on when to send the notification trap. In the Actions tab of the Alarm Settings panel, click Add to add a new action. In the Action drop-down list, select Send a notification trap option. That's it. You now will be able to see the alerts in the monitoring tool dashboard. what a horrible font, you can hardly read it. going to another site.